I have been campaigning against exploitative services like Author Solutions for a few years now, and it’s clear that the business model of such predators is to target the inexperienced and uninformed. Some blame the victims, suggesting they didn’t do enough research, but this is more than a little unfair. These companies are extremely skilled at targeting writers before they discover the self-publishing community, and use a variety of deceptive means both to ensnare writers and to ensure that they don’t discover genuine reviews. Also, the lines between traditional publishing, self-publishing, and vanity publishing are more difficult to define every year. Part of the reason is that vanity presses have now rebranded themselves as “self-publishing service providers” and they are often owned by traditional publishers. 1. Who is recommending the service? Self-publishers would make the worst spies in the world because we can’t keep our mouths shut and tell everyone everything – which is great for those starting out because every service and provider out there has been used and reviewed, and every marketing strategy has been poked and prodded. Even the biggest sellers are happy to share what worked for them (and what didn’t). Self-publishing platforms like KDP or Kobo have armies of successful self-publishers recommending their services, as do repubtable distribution services like Draft2Digital and Smashwords, and proven advertising sites like BookBub. 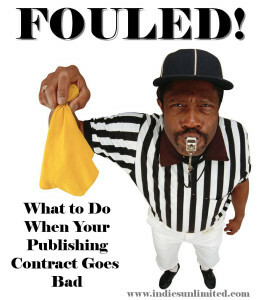 Crappy vanity presses can’t point to successful self-publishers using their services. Say no to the smiling stock model! 2. Is the service owned by a large publisher? So, yeah. The name you know is often the name you can’t trust. But you can’t go far wrong running away from anything with a connection to Author Solutions. And if you don’t know about the awful history of Author Solutions, then you need to read this immediately. 3. How do they make their money? The four biggest retailers all have their own self-publishing platforms. Amazon’s KDP, Apple’s iBookstore, Barnes & Noble’s Nook Press and Kobo Writing Life don’t charge any upfront fees and take a percentage of your earnings instead. This means they don’t get paid unless you make money. Reputable distributors like Smashwords and Draft2Digital operate on the same model. They take a cut of your sales and don’t charge any upfront fees. They make money with authors, not from authors. Vanity presses have the opposite model. They don’t really care if you sell books or not because they make their money from selling you stuff. Worthless marketing packages, hopeless Hollywood pitching services, useless YouTube advertising packages. The list is endless and varied, but they all have one thing in common: they won’t help you sell books. 4. Does it sound too good to be true? Lots of people (me included) regularly parp about this being The Golden Age for writers, that we’ve never had it so good, and so forth. All that’s true, but it’s also relative. Writers have never had it better, largely thanks to the digital revolution and self-publishing, but that doesn’t mean that success is a click away. It’s still a tough game – it’s just that there are fewer landmines on the pitch. There are no shortcuts, and that goes for publishing books as well as selling them. If someone is offering you a guaranteed path to success, you should be automatically skeptical. If a deal sounds too good to be true, then you really have to read the fine print. In the end, you actually get paid less than going direct to Amazon and receiving the standard 70%. Oh, and it’s owned by Author Solutions (them again), which means the service will be crappy, quality will be poor, sales reports will be delayed, you won’t be able to do something as simple as changing your book’s price without emailing them, and you will be hounded relentlessly to buy one of their eye-wateringly expensive and completely ineffective marketing packages (because that’s where they make their money). 5. What does Google say? Scammy vanity presses spend huge sums on Google ads and SEO to try and push down genuine reviews of their services (as they are invariably negative). But there’s a simple way to check the bona fides of any company. Simply put the word “scam” after the company name and see what comes up. 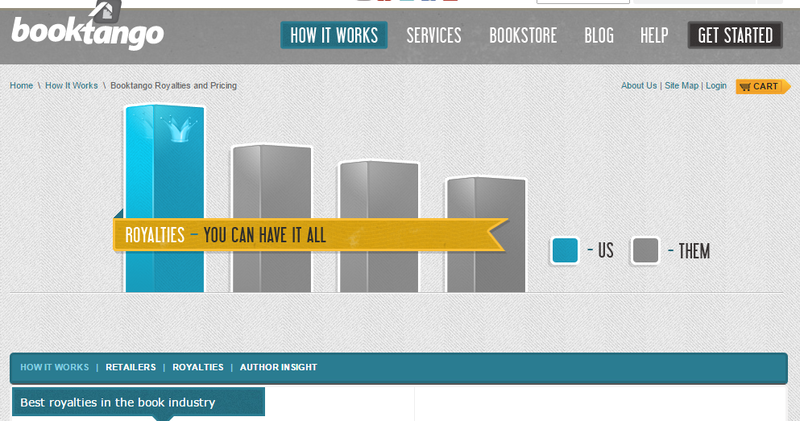 For a reputable company like Kobo, searching for Kobo scam yields little or nothing. By contrast, searching for something like AuthorHouse scam generates pages and pages of customer complaints. If you are in doubt, ask an experienced self-publisher. We are all pretty open and approachable, and there are self-publisher hangouts like the Writer’s Café at KBoards where you can get the skinny on any provider or service, and dedicated sites (for authors of all stripes) like Writer Beware – which has been naming and shaming the unscrupulous for years. David Gaughran is an Irish writer living in Prague who spends most of his time travelling the world collecting stories, and campaigning against self-publishing predators. He runs the publishing blog Let’s Get Digital and the Latin American history site South Americana, and his work has been featured in the Huffington Post, The Sunday Times, and the Irish Times. Learn more about David on his Author Central page. Thank you David. Authors everywhere owe you a debt of gratitude today. David, I’ve been following your blog posts for years. I appreciate how much time and effort you put into defending the uninitiated. To me, the fact that the biggest of the Big 5 – Random Penguin – is all over this, tells me everything I need to know about the state of big publishing. It’s sickening that they continue to put their own bottom line ahead of any ethical concerns. Thanks for this greater buyer beware post, David. I was one of those who got caught – by iUniverse – who in addition to charging an outrageous fee for the design and set-up of my print book ($800 if I remember correctly) also charged an additional $200 for the Kindle version – $100 to create the file and another $100 to get it on Amazon. I’m embarrassed to admit I was so stupid, but I didn’t have the benefit of sites like this and posts like yours back then. Not your fault, J.P. Back in the day, there were no other options if you couldn’t get an agent. And these guys are slick. Thank you, David. I posted this on a bunch of sites. As someone who has at times felt like the victims were to blame due to lack of research, I am glad you pointed out the unfairness of that assumption. It’s true what you said, that the majority of victims are unaware indie publishing exists. I’ve recently intercepted several writers who were on the verge of giving in to pressure from Authorhouse. Not one of them had any idea that it was possible to publish without paying large sums of money up front. 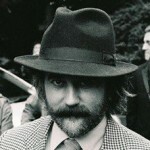 David Gaughran, I consider you the voice of indie authors. I recommend Let’s Get Visible to every indie author I meet. Publisher scams are rife even among small indie presses. Awful. Predatory behavior does not stop there. I find it in promoters, too. This article is dead on. I’m sharing it everywhere. Thank you, too, IU, for giving David this platform. Another euphemism I could add is “hybrid publisher.” I fell for that one, and will tell my story later on this month. They’ve got a million ways to say they’ll help out writers, but it all boils down to the same thing: money for them. Excellent post, David. Great post, David. It’s interesting that you brought up this idea of “blaming the victim.” People don’t know what they don’t know, and pretending they should’ve known something is unhelpful and mean. It’s incumbent upon those who do know to try to spread the word. I think the best thing about the self-publishing community, is the people are very generous with their knowledge. Newbies need only ask, or lurk, because we’ll bring it up ourselves if you hang around long enough. Yeah I think that’s wrong (and distasteful) for a number of reasons. 1. Authors often don’t know that they are using Author Solutions. Many partners go to great lengths to hide the Author Solutions connection – with the recent news that Author Solutions is secretly providing the services that Nook is selling being a classic example. 2. Author Solutions spends a crap-ton of money on Google ads and SEO to push down all the genuine (and invariably negative) reviews of its service. 3. Author Solutions is famous for deceiving potential customers – using things like fake social media profiles to push its brands, fake independent comparison sites which only push its imprints, etc. 4. Author Solutions has partnered with some of the biggest names in publishing: Bowker, Kirkus, Penguin, Simon & Schuster, Harper Collins, Writers Digest, Sony, overdrive, Harlequin, Publishers Weekly – and that’s just a fraction of an endless list. The whole thing reads like a Who’s Who of tradpub. 5. Not everyone has amazing Google-fu. Many of Author Solutions’ customers are elderly and may or may not have stellar computer literacy or know how to hunt down that kind of information. We take such skills for granted, but they aren’t universal, and especially not among the demographic that Author Solutions tends to target. 6. Finally, it’s just cruel to blame the victim. They’ve already been screwed around, and now you want to tell them it’s their fault? That’s really not appropriate and it takes the focus away from where it should be: on Author Solutions and Penguin Random House, on the money-grabbing companies partnering with them, and the hypocritical media which refuses to cover this story at all, but will run the most tenuous anti-Amazon piece – even when they know there is nothing to it. Booyah! Laying it all out and naming names! I sometimes present on indie publishing to newbies in local audiences and I’ll be sure to point them to this post. Thank you! Thanks for a great article, David. I have been following a thread on LinkedIn concerning iUniverse. I will be pointing them to this article and to your blog as well. The more people that read about this the better. It is so sad when people fall for these scams simply because they want so badly to get their book out there for others to read and to be able to call themselves published authors. I was caught years ago with PublishAmerica (who have changed their name again), but fortunately for me it was before they started adding all the extra packages, so I paid only for my copyright registration. But the books I purchased (which I did not have to do at that time) were way overpriced and the shipping cost must have made them some good income, too. I’ll add my thanks also David as i had 2 books published with Xlibris and of course they are part of the Author Solutions group. Not only did i pay around $700 each on a so called special deal but then paid again to have my book placed in so called writers fairs. The result, in two years nothing. I found they took your money then did nothing. They still hound me today to publish my next two books with them. No way. thanks to people like you David our writer eyes are a bit more open and we thank you.I’m an 80 year old pensioner and cant afford to pay high costs to publish so i left my books in the computer till i can fiond a legit company who can help me. Don, you are exactly the reason I am glad IU is running this series. Thanks for commenting. Don, you might consider avoiding all these service companies and taking the matter into your own hands – possibly with some help from a friend, if you need it. If you are interested in taking it further, I’ll send you a free copy of my self-pub guide, which should cover everything you need to know. Thanks for warning the unwary. I made the mistake of publishing my first book with Trafford and they call me monthly with some scheme to promote the book. If you say no, they call again the next day with another angle. None of the things I have done with their urging has generated sales of the book in the least-that includes book fairs, pitch fests, trailers, television ads, gold sea.etc, etc. It’s all very expensive and it doesn’t do a thing. Their latest is to try and get me published by a trad publisher. I told them, “You’re owned by a trad publisher, Penguin. If you really thought the book had potential as a seller, wouldn’t it be much easier and cheaper just to submit it to Penguin with your recommendation?” They assured me that that was impossible, just couldn’t be done. Is this what they would have done with The Hunger Games if it had crossed their paths? More than likely, Robin. I’m sure Penguin has drawn a very firm line between its trad-pubbed business and Author Solutions. I’m curious to hear which traditional publisher they’re promising to shop your book to. Lynne, I was that line was as firm as you suggest. Penguin Random House seems very keen to integrate Author Solutions more closely with its publishing operations around the world – which is very bad news for writers. Penguin India now shares office space with Author Solutions Indian vanity press – Partridge India (an arrangement which is replicated elsewhere, but I can’t remember off the top of my head. Author Solutions increasingly plays up its connection with PRG. Author Solutions sales reps do the same, specifically dangling the (false) possibility of a trad deal with Penguin… if you would only back your book and get it noticed by buying this crazy-expensive (and ineffective) marketing package. There’s a lot in that link, but the thing I want to highlight is the return of reading fees. PRH Spain gives you the chance to skip the slushpile if you buy a package from Author Solutions’ new Spanish vanity price. Prices start at $3,600! It’s quite a fun thought experiment to consider what PRH – or indeed any major publisher – would have to do to get (critical) media attention. Almost makes you wonder who owns the media, doesn’t it? Thanks for the link, David. I’d missed that one. *HOW* much for ads in Reader’s Digest??? OMG! You’re right that they can’t help you in that regard. In fact, once a publisher saw the book was published by Trafford, they would likely consider that a negative. It’s not something that will hold you back in the future – you just don’t mention Trafford in your bio – but it’s certainly not something that would help you get a deal. In fact, I can’t think of a single way that Trafford could help in that regard, so I’m curious to see exactly what they are proposing. Great post, David; it’s not always easy to see the forest for the trees. Thank you on behalf of all those newbie indies out there. Good points all. Thanks, David. There must be a lot of people with their first books in their hands, looking to be published. Now they don’t yet know of places like IU, Preditors & Editors etc. So after getting rejection after rejection they start to google, but not your neat idea with ‘scam’ included, and they are bombarded with sites all too willing to publish them, cough, for a price. Now, if they see Penguin or S & S etc, they’re going to trust that the company knows what it is doing. I don’t think anyone should blame themselves, let alone, blame others, for falling for that. If I didn’t know better, I would probably be taken in too. Have nothing new to add to all the praise for your post, David. I shared your wisdom everywhere. Thank you! Surprised to see nobody has mentioned the recent tie-up of Barnes & Noble with Author Solutions. I wrote this post for IU a week or two ago – before that story was public. Wow – this is incredible. Thank you for this article and the word to the wise. I used one of those companies on the list – Xlibris. I don’t have a complaint; but I am glad I did not use them for marketing the book. Recently I switch to KDP for my ebook; and that is working out better. And your right about reports they lagged behind on that. Very informative. Of course in any market their are those who try and take advantage of others, but I never thought that these well known names would actually attribute to any of this. Quite eye opening. I’ve been approached by a publisher in Hungary that wants to publish my book in Hungarian and have rights for five years in the Hungarian language. They’ve offered a small advance and no out of pocket costs to me. I’ve Googled them and don’t see any mention of scams coming up. They have a Facebook page, a web page, etc. I’m being very cautious for all the reasons outlined in this series. I have a copy of their contract, but I do not have an agent to look at it. Does anyone know of an agent that they’d recommend? I’d be less inclined to have an agent look at it and would get it in front of a lawyer. Unfortunately, in my experience, international law is very difficult to enforce. We have a legal resource page here: https://www.indiesunlimited.com/resources-for-authors-legal/ You should be able to find someone in your area to help you. Thank you, Kat. Although the contract does look like it could be legitimate, I’m still not sure it is worth the effort due to the minimal amount they want to pay for the advance. And, I’m fairly certain that my attorney could cost at least half, if not more, of the advance. You’re welcome, PJ. The resources on that page are supposed to be free, so hopefully that would save you some money. If they are willing to pay an advance, I would think that’s a good sign. Good luck with it!